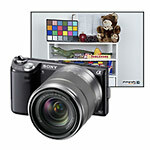 The Sony Alpha NEX-5N is a compact system camera with a 16-megapixel APS-C CMOS sensor. We shot controlled studio tests at all ISO settings with the NEX-5N and the Sony 18-55mm kit lens. The sample photos were shot RAW in aperture priority mode at f/8. They were converted to 16-bit TIFF files with Lightroom and the graybar, text and logo were added in Photoshop before they were resaved as maximum quality JPEGs. The images have been posted at their original resolution and no noise reduction or other adjustments have been made. The Sony NEX-5N image quality is excellent – noticeably better than the Olympus and Panasonic Micro Four Thirds cameras, which use a smaller sensor. The ISO 100 and 200 sample photos are virtually noise-free and based on the samples below I think the NEX-5N should be totally usable up to ISO 3200 and ISO 6400 even looks pretty reasonable. 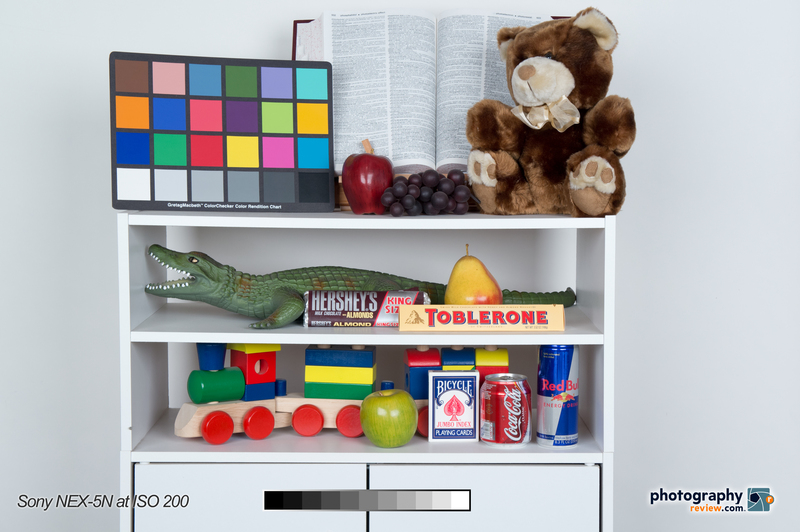 Click on the thumbnails below to see the Sony NEX-5N sample photos at their original resolution. Warning: these files are BIG – be patient while they download.